Special Olympics gives athletes like Lani DeMello the chance to defy expectations. When she was only an infant, doctors said she would never lead a successful or productive life. Lani’s mother, Ana DeMello, describes how Special Olympics allowed her daughter to flourish and gave her the opportunity to be her absolute best. When our daughter Lani was born 26 years ago, doctors told us that she would never be able to perform basic tasks. We were told that, because of her disability, Lani would “never amount to anything”. It was a scary and disheartening moment, and one which we will never forget. Despite all these negative predictions, Donald and I loved our daughter and never lost faith in her. We knew that she had the capacity to accomplish incredible things if given the chance. All we needed to do was find a place where she would be given support, encouragement and the opportunity to succeed. As it turns out, Special Olympics was that place. For the last 13 years, Special Olympics has been an endless source of support for our daughter and has become like a second home to her. With the help of her coaches and teammates, Lani has built the foundation for a lifetime of confidence and achievement. Many people mistakenly believe that Special Olympics is a watered-down version of real athletics. Nothing could be further from the truth. It is genuine competition and training, where athletes are challenged, encouraged and given the opportunity to reach their full potential. This is certainly true of Lani, who has won multiple gold medals in rhythmic gymnastics and has competed around the world. What’s more, it has also helped her to develop skills that extend outside the realm of sports. 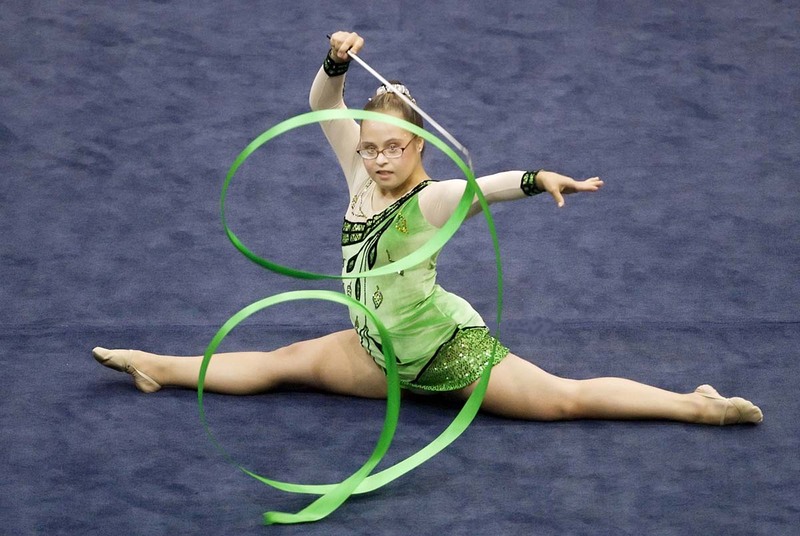 With her newfound confidence, discipline and leadership abilities, Lani now holds multiple part-time jobs and works as an assistant coach for the Special Olympics Georgia rhythmic gymnastics team. Lani’s social landscape has also dramatically changed thanks to Special Olympics. Every parent worries about whether his or her child is going to be accepted by their peers; especially if that child has special needs. Fortunately, with Special Olympics, we never have to worry because we know that Lani will be welcomed and loved for exactly who she is. It has provided her with a network of people that she can count on and has brought an incredible amount of joy into her life. 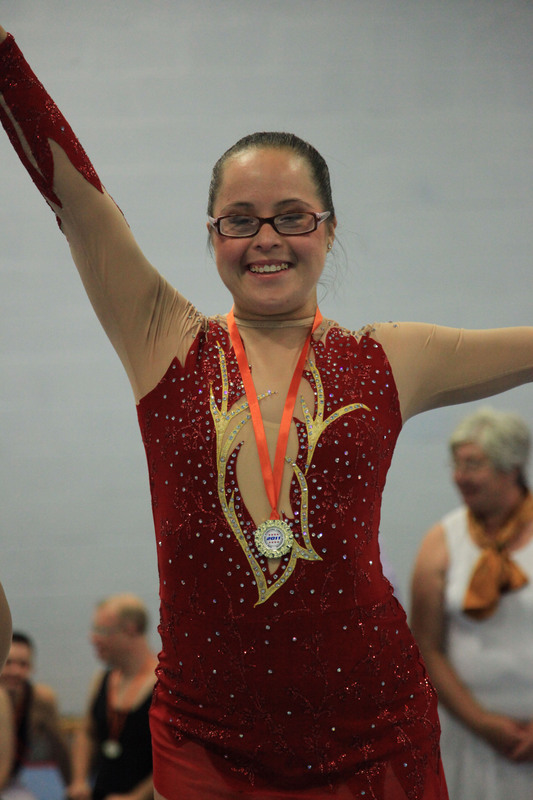 Aside from what it has meant to our daughter, Special Olympics has been an immense source of support for us. When Lani was first diagnosed with an intellectual disability, we were greeted with sympathy and pity, when what we were really looking for was understanding, support and information. With Special Olympics, we always know where to turn if we need help or encouragement. It has been wonderful for us to be part of a community of people who understand the challenges and joys of having a child with an intellectual disability. We are so proud of our daughter and so thankful to Special Olympics for helping her develop into the wonderful and accomplished young woman that she is today. The encouragement and the support that Lani has received from her coaches and peers at Special Olympics have had an immeasurable impact on her life. I am writing a “Historical Episode” in my core class this week. We had to pick an event that had to do with the Olympics, and as I was doing my research, I found the Special Olympics. After more research, I found Lani’s story and was intrigued by it. She is the topic of my story, and I greatly enjoy learning about her. Lani and her mother are very inspirational people. My daughter is writing a paper on someone who has overcome a hurdle in life and she chose Lani! We have enjoyed learning about Lani and her extraordinary accomplishments. We wish you much success in your years to come! Please can I have permission to use the image of Lani for our enewsletter? We are planning on referring to the new relationship between ECOO and the Special Olympics! Thank you for your request. We need a little more information about the use of the image before we can give permission. Could you email me details about your organization/the partnership with Special Olympics? My email is rralston@specialolympics.org. De Mello and their dedication to a daughter they love very much. Lani is a beautiful young woman that has worked her way up with the unconditional support and love from their family and Special Olympics. As an outsider observer I can tell how much she has improve in all aspects of her live, and the joy she shares with her family. Go on Lani…. Lani looks proud and confident. Her story reminds us about the importance of love, respect, and the impact of Special Olympics. Inspiring! Not only has the Special Olympics helped Lani keep reaching for her limitless potential to accomplish her goals, her parents have helped her see that she is a wonderfully beautiful person who can achieve anything she wants. Love and support start at home and I believe that Lani is the absolute example of the wonderful things people can achieve when someone believes in them. I wish the very best for Lani and her parents. I imagine there are more gold medals for Lani in the future. I wish them all a lifetime of hapiness. What an inspiring article. I can’t wait to get my child involved when he gets a little older! Congratulations Lani & family. You’re an absolutely beautiful girl. Special Olympics gymnastics has been a wonderful opportunity for my daughter too. I hope someday that she can coach & help others with intellectual disabilities. Thank you for sharing your story.